Emmy is a member of Northwood’s investment and client service team. Emmy is originally from Beijing, China but has lived in Canada for the past ten years. She has worked in the financial services sector in both China and Canada, and can speak English and Mandarin fluently. 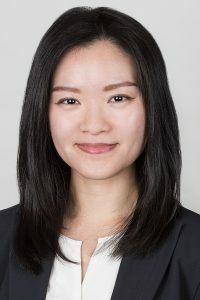 Prior to joining Northwood, she worked for Citco Canada for seven years as part of the operations middle office team and as a senior hedge fund accountant. In her work at Citco, she focused on the accounting and administration aspects of hedge fund operations. Emmy has a Master of Finance Degree from Saint Mary’s University in Halifax, NS.